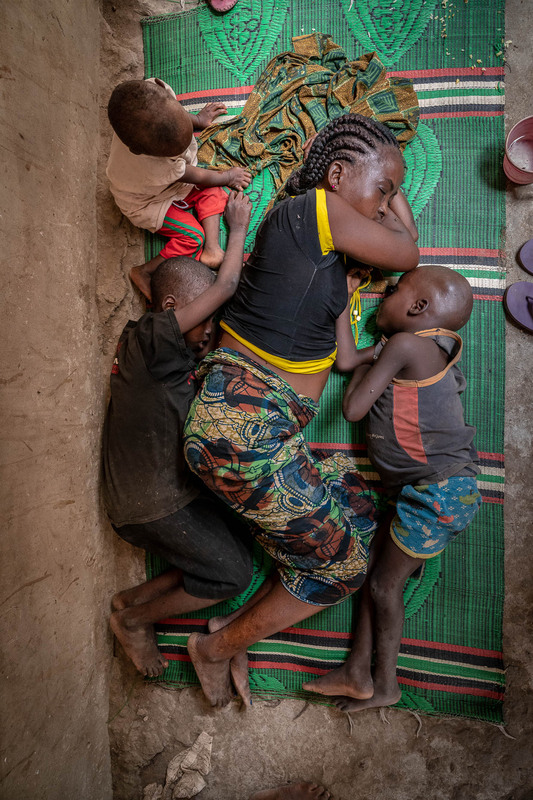 A mother and her children sleep in a hallway at a camp for displaced persons. Because of overcrowding, men must sleep outside except on rainy days. Cover story for CT magazine.